"And this Good News about the Kingdom will be preached through all the world for a witness to all mankind..."
Gospel Recordings Netherlands is part of Global Recordings Network, an interdenominational missionary organization whose vision it is to proclaim the Gospel in all of the worlds' languages. This is being done with the use of audio materials in as many languages and dialects as possible. Presently there are recordings in more than 6000 languages available, which you can order at our office, download without costs or listen to online. These recordings are made for evangelization and basic Bible teaching and some recordings have additional picture books of the Biblical stories. We also have hand wind mp3 players called 'Saber' for use in remote places without electricity. GRN is a faith mission, which means that we are dependent upon gifts. Options for supporting us are found on our website www.gospelrecordings.nl. We believe in the inspiration and authority of the Bible and want to be obedient to the missionary mandate in Matthew 28:18-20. Everyone who has contacts with people who speak another language and wants to evangelize amongst them may order audio materials in various languages and dialects. Please contact www.gospelrecordings.nl if you are in need of CD's or other audio materials. By means of 5fish.mobi you may also listen online to the recordings. Ideal for use with Smartphone and tablet. 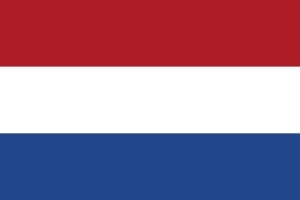 If you want to know more about the work of Gospel Recordings Netherlands, you could organize a meeting. We like to tell you about the work and the latest developments. The free Newsletter keeps you informed about the present developments. Please let us know if you would like to receive our Newsletter. A CD of various artist's work, specially prepared by GRN Netherlands for use in spreading the gospel. Your donation will assist Gospel Recordings Network to tell the story of Jesus in every language. The music in the Dutch recordings "Ongelooflijk" and "Lekker Gezellig!